EOOS is an Austrian design studio comprised up of Martin Bergmann, Gernot Bohmann and Harald Gründl. They recognised the special synergy of their talents during their studies at the College of Applied Art... Read more in Vienna where they all attended Paolo Piva’s design master class. In 1995, they founded a studio together and since then have constantly developed their own special methodology. In their inspiring office in Vienna city centre, the three intransigent thinkers implement their ideas. Their design is immediately obvious and yet so difficult to put into practice. In Vienna today, 15 creative spirits of varying profession and background are working on projects from Milan to Toronto, London to New York, Berlin to Herrenberg. They refer to their road to creativity as poetical analysis. The designers search for the sense and function of design through the culture of human ritual. And that’s how they create new concepts for their clients. For example, the celebration of the purchasing of mobile phones and communication services at A1. Or the development of a bath for ultimate pleasure in discovering the surface of water at Duravit. And the tangible promise of beauty provided by Armani Cosmetics in shops all over the world. 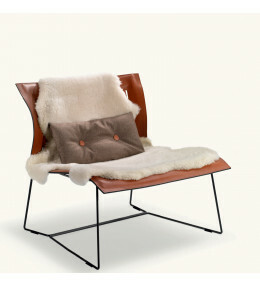 Cuoio Armchair with and without armrests, with loose sheepskin rug. Complemented by Cuoio pouf footstool. 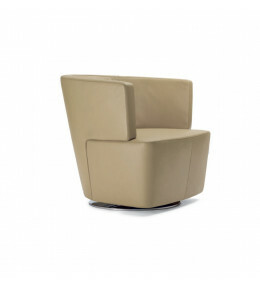 Ameo Armchair with medium and high backrest, for meeting, reception, lounge and waiting areas. 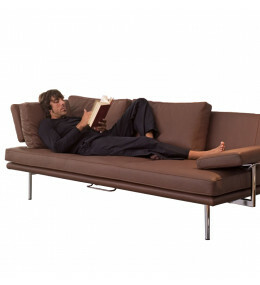 Living Platform Sofa and Armchairs is an innovative functional soft seating range for modern interiors. Joel Club Armchairs are original from every conceivable angle. 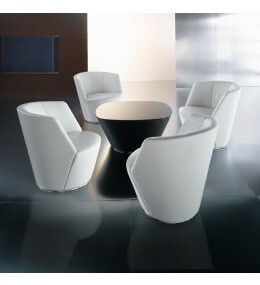 Suitable for corporate lounge and guest areas.